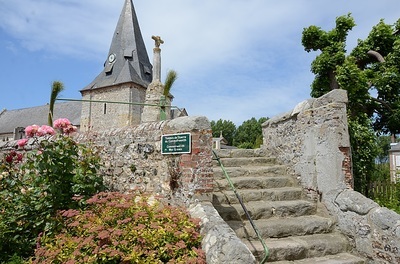 St. Aubin-sur-Mer is a seaside village and commune 10 miles (16 kilometres) west of Dieppe, on the Dieppe-St.Valery coast road (D.75 and D.68). Buses run from St. Valery and Dieppe. 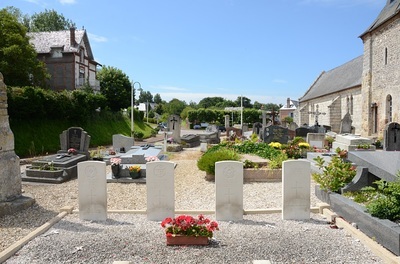 In the southern corner of the churchyard are the graves of 2 British soldiers, 1 British sailor, and 1 Australian airman. One of the soldiers is not identified. 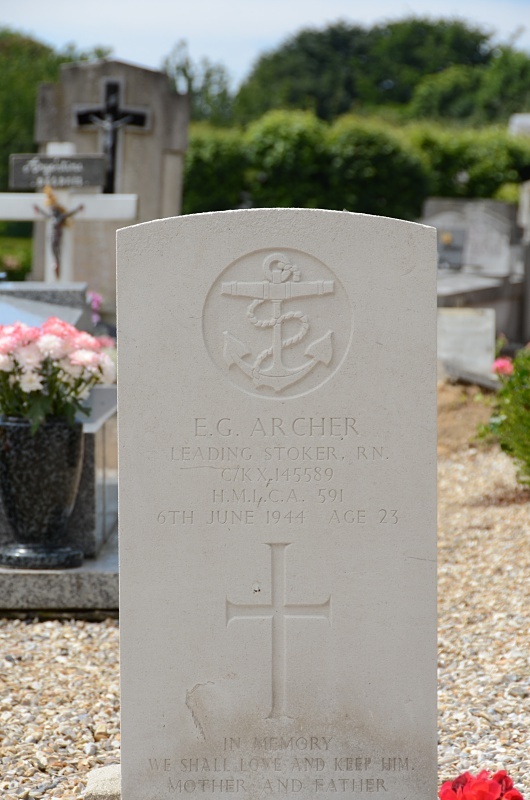 C/KX145589 Leading Stoker Edward George Archer, H.M.L.C.A. (HR) 1106. 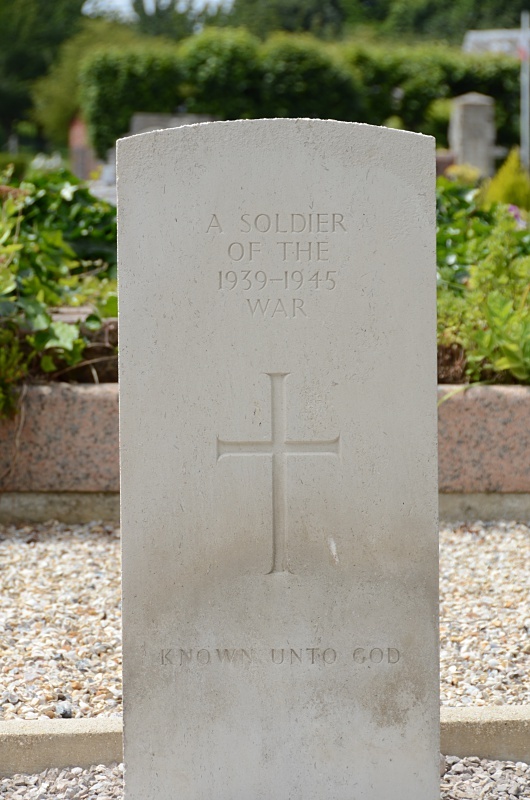 Royal Navy, died 6th June 1944, aged 23. Son of Albert and Emily Archer, of Horndon-on-the-Hill, Essex. 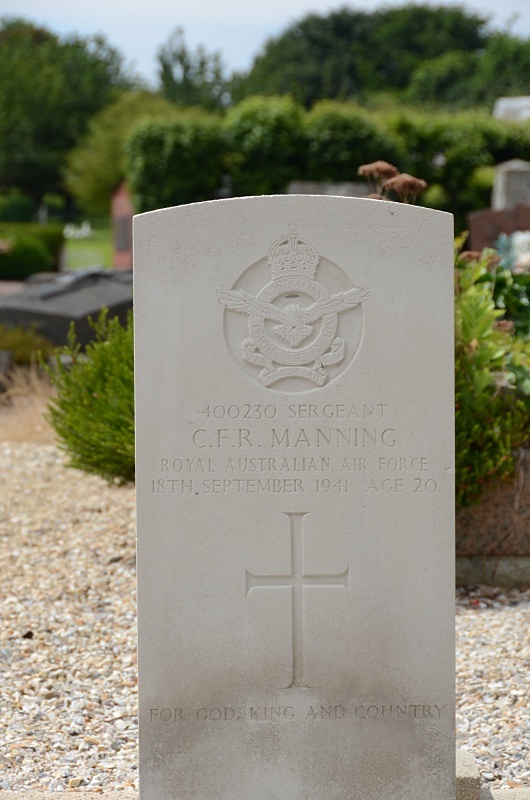 400230 Sergeant Charles Frederick Richard Manning, Royal Australian Air Force, died 18th September 1941, aged 20. Son of Fredrick Richard and Jessie Matilda Caroline Manning, of Bacchus Marsh, Victoria, Australia. 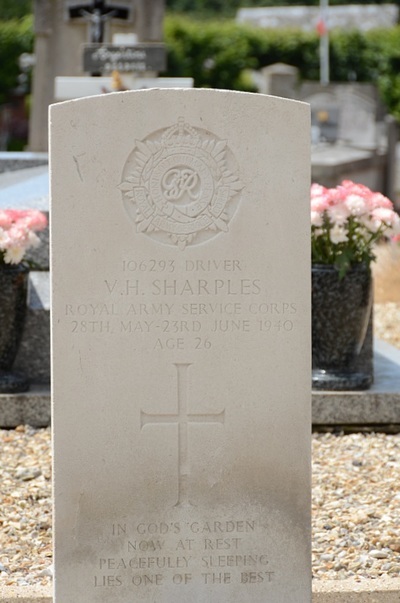 T/106293 Driver Victor Hugo Sharples, M. T. Royal Army Service Corps, died between 28th May 1940 and 23rd June 1940. Son of Mr. and Mrs. C. A. Sharples, of Wigan, Lancashire; husband of Mary Sharples, of Wigan.